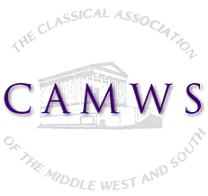 All terms of office coincide with the CAMWS fiscal year (July 1st -- June 30th). The following positions are for one year: President-Elect, President, Past President and cannot be renewed for the succeeding year. The following positions are for five years (renewable for an additional five years): Editor of The Classical Journal, Editor of Teaching Classical Languages, and the Secretary-Treasurer. The following positions have variable terms: Delegate to FIEC, Historian, Orator, Photographer. All other positions are for three years (renewable for an additional three years).